Camella Bogo will soon rise at our new business district, northwest side of the new Bus Terminal built by Robinsons through the access road going to barangay Cayang from the national highway. Camella Bogo is a 17 hectare project by Vista Land, the first of the giants and leaders in the real estate development that came to Bogo. Dream communities, convenience and accessibility, safety and security, wise investments, and, affordability and value for money are Camella’s pillar and advantage. Camella Bogo will feature the Easy Homes Series units. Right now they are still at the site development planning phase and they intent to finish it by October this year. However, they have started to aggressively market their featured home units and now accepting letter of intents (LOI) and reservation fees. 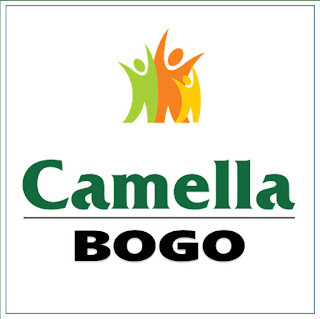 Having Camella in Bogo will provide opportunity for our people to earn by becoming real estate sellers themselves. It will also entice other people to live in Bogo and contribute to the fast growing economic activities in the our city. 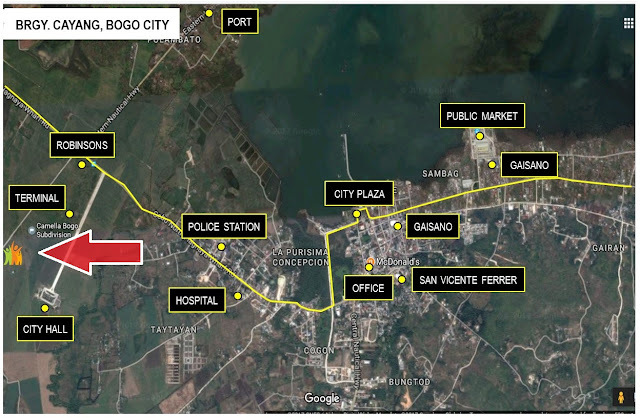 By promoting Camella Bogo, we are also indirectly promoting our beautiful city. Padayon Bogo, padayon! SongWriting Workshop in the City of Bogo - FREE.